A three day, two night cruise on Perla Dawn Sails is the best choice for those who are looking for an extraordinary adventure to the less touristic of Lan Ha Bay. You will experience many exciting activities such as swimming, cave exploring, dining on top deck, all while sailing through undiscovered waters and islands in the beautiful poetic Lan Ha Bay. 07:15 – 08:30 Enjoy breakfast in the fresh air and serene atmosphere excellence of the Bay. Transfer to a Day Boat for a day exploration. 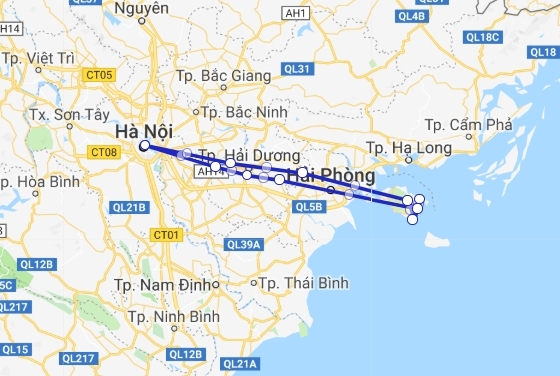 13:30 – 15:30 Swim and kayak in Ba Ham Lake. 19:00 Enjoy dinner on top deck. We went on the overnight cruise, and next time we will definitely take the longer option. Considering this cruise has only been operating for a short time, we were delighted with the overall cruise in the UNESCO-listed environment of Lan Ha Bay. Our cabin was pure luxury with high quality furnishings and a small balcony with a table and chairs. The staff were extremely efficient, warm and welcoming and went out of their way to make sure we enjoyed ourselves. We started with a wonderful lunch while sailing through the pristine waters. 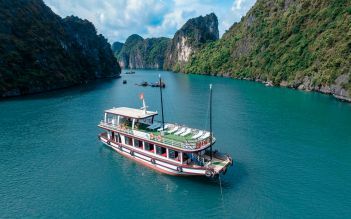 The overnight cruise offered a varied selection of activities including a bamboo boat trip to caves, kayaking and swimming, and onboard activities including Tai Chi and cooking. Dinner on deck was a bonus. 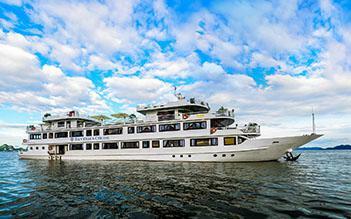 If you are looking for an alternative cruise to the overcrowded Ha Long Bay, this is the cruise for you. Trish and Gordon, Australia. Cannot say enough about this 3 day, 2 night tour. Extremely well organized, great itinerary. The itinerary was excellent - we went to several gorgeous locations that have been very favorite spots, but additionally spent the second day of ours in a secluded location for biking, kayaking and swimming. It was spectacular. Service that is excellent, attentive and friendly crew. Food was superb! They aslo had a birthday cake to my dad on dinner which was so wonderful. 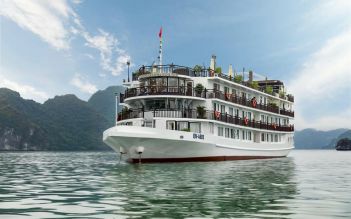 We will recommend this cruise if everyone wanna stay away from the husble and enjoy the beauty, tranquil of Lan Ha Bay.